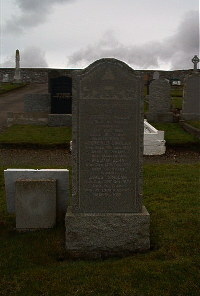 Elizabeth Miller died at Houstry Dunbeath 21st May 1965 aged 81. Husband Archibald Sinclair died 4th January 1972 aged 91. Son William John Miller died 13th February 1972 aged 53. Brother James Sinclair died 31st October 1973 aged 86.